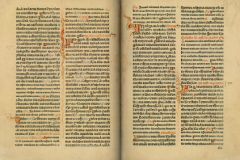 Only 28 years after the completion of the Gutenberg 42-line Bible, on 22 February 1483, the first Croatian book was printed. 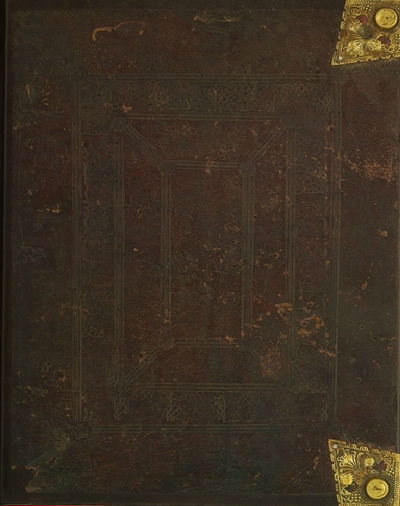 The date of the publication of this Croatian incunabulum, a missal, “by the law of the Roman court” (Misal po zakonu rimskoga dvora), is celebrated as the National and University Library in Zagreb Day, while the unbreakable bond between the central Croatian library guarding Croatia’s cultural heritage and this masterpiece of the Glagolitic printing tradition is visually embodied in the Library’s logo, which represents a stylised version of the letter of the Glagolitic alphabet Iže, the transliterated Latin ‘I’, as it appears in Misal. 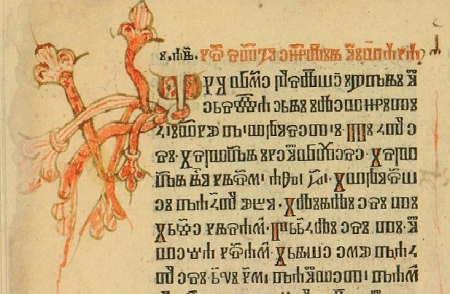 Since this invaluable incunabulum was the first European book not printed in the Latin alphabet, its significance exceeds the boundaries of Croatia’s cultural heritage. Published on the day of the Chair of St Peter, which has been observed since the 4th century in celebration of the unity of the Church built on the apostle Peter, its place of publication and publisher have still not been established. 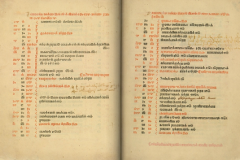 The missal was printed in the Glagolitic script, the alphabet of medieval Croatia, which began to be used during the 9th and 10th centuries. 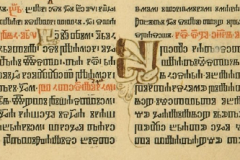 The style used in Misal was the so-called ‘angular’ Glagolitic, which had developed from the older, ‘round’ Glagolitic script. It is often also referred to as ‘uncial’, owing to its upright and spaced letters, whose sophistication made them appropriate for liturgical texts. 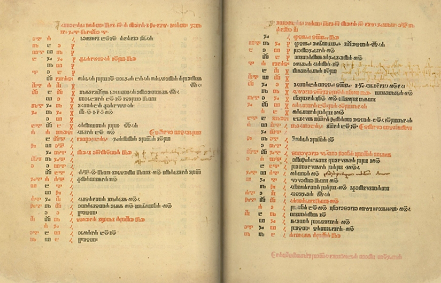 There are currently only 11 incomplete copies of Misal, six of which are located in Croatia, and five abroad. 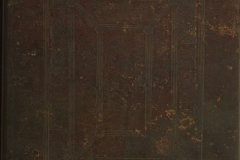 Two copies are preserved in the Manuscripts and Old Books Collection of the National and University Library in Zagreb, another two are located at the Ksaver Monastery of Third Order Franciscans in Zagreb, one is part of the collection of the Library of the Croatian Academy of Sciences and Arts, and the last of six copies preserved in Croatia is in the Library of the Dominican Monastery in Bol, on the island of Brač. 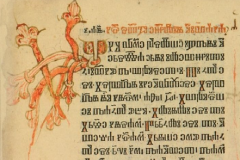 The remaining five copies, located abroad, are preserved at the Vatican Library in Rome, Library of Congress in Washington, National Library of Russia in Saint Petersburg and Austrian National Library in Vienna. 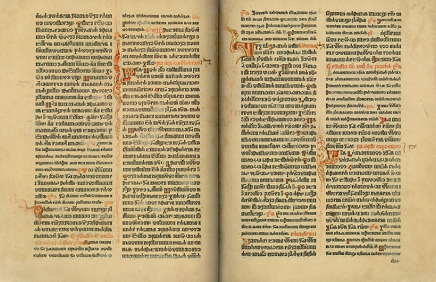 “Misal po zakonu rimskoga dvora” (Missale Romanum glagolitice, 1483), the first Croatian printed book and the first European book not printed in the Latin alphabet. Manuscripts and Old Books Collection of the National and University Library in Zagreb.